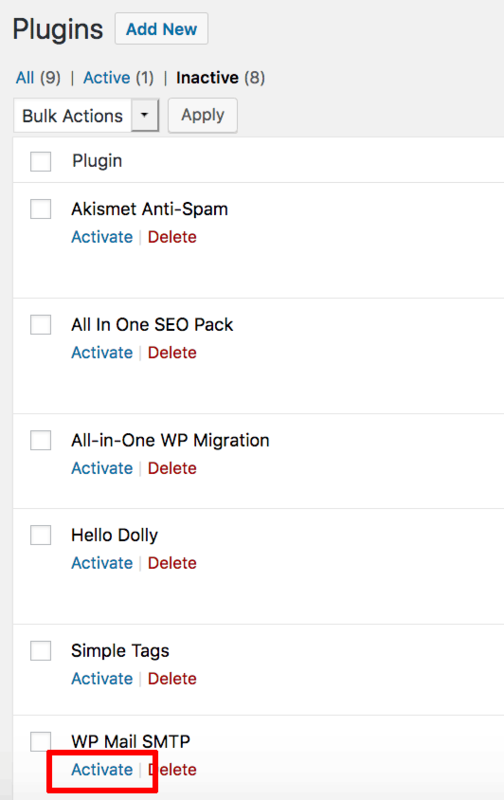 Navigate to “Plugins” and click the “Activate” option for the “WP-Mail-SMTP” plugin. 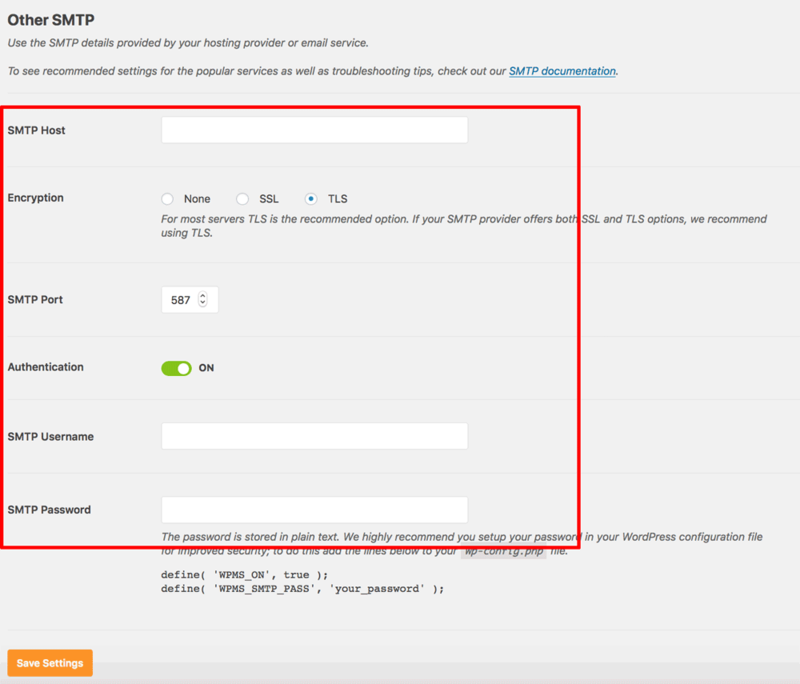 Go to the “Settings -> WP Mail SMTP” panel and the “Settings” tab to configure the SMTP settings of your email provider. Select “Other SMTP” as the mailer. 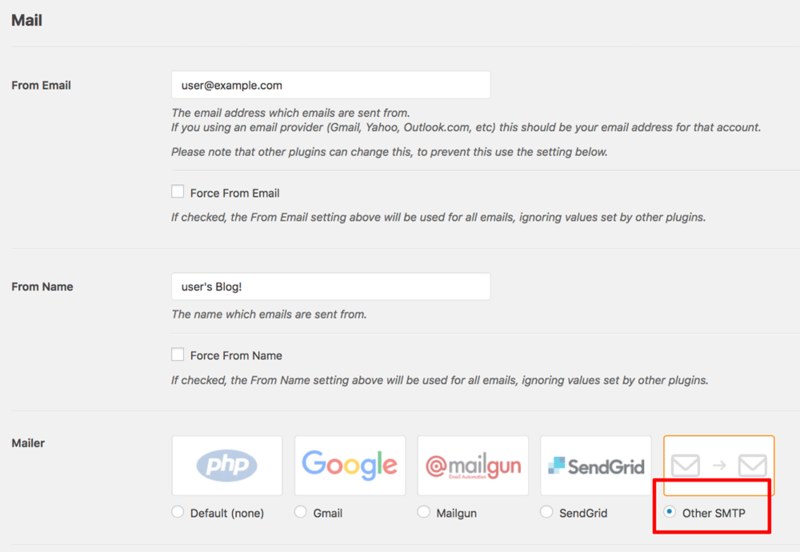 Here is an example of configuring WordPress to use a Gmail account. Replace USERNAME and PASSWORD with your Gmail account username and password respectively. If you are using a different provider, remember to replace these values with the valid data for your SMTP provider. Click “Save Settings” to save the changes. Send a test email using the “Email Test” tab to ensure that everything is working smoothly.